Seeking out the very best curbside eats all over North America, Eat St. is your grease-stained roadmap to the ultimate street food experience. Swing into Phoenix, Arizona for some gourmet hot dogs at the Short Leash truck, with menu items like 'The Aiko', a naan-wrapped sausage topped with mango chutney or the '7th Innings Stretch', a spicy beer wiener topped with peanut butter, Cracker Jacks, bacon, smoked Gouda and BBQ sauce. Stop off at Buzz N Beez in Phoenix, Arizona to sample the best southern fried chicken in the desert with Savoury Drumsticks and succulent Catfish Po'Boys. At this chef-run food cart, it's the fresh local seafood, such as their famous banzai prawns that keep customers coming back. The first gourmet food truck to hit the city, this mobile restaurant earned its stripes with west coast inspired Pan-Asian fare, including pork belly sliders, fried rice balls, chicken kaarage, and house-made lemonades. This stationary retrofitted shipping container sits in Victoria's Inner Harbor and serves a variety of local and fresh seafood dishes. A mobile truck best known among surfers for their fish tacos, tortilla soup and especially their chili chocolate ice cream sandwiches which use their yummy Chocolate Diablo Cookies. With their famous Japenese twist, this cart serves Hot dogs with sides such as Spicy Cheese Terimayo with jalapeno cheese, smoky Japanese mayo, teriyaki sauce and even seaweed. The name Re-Up is drug slang. When you are dealing on the corner and your stash is getting depleted, you need to "re-up." These guys "re-up" the corners with BBQ, which in the South is considered equally addictive. Swing by this street eatery for a heaping serving of crispy Belgian style fries with toppings like kimchi with Kurobuta pork belly and cheddar cheese. This technologically advanced truck serves steamed and baked Asian buns with delicate, exotic filings - and sports one of the longest lunch lines in San Francisco. This west coast mobile double-decker bus satisfies lunch-goers with outstanding South African inspired dishes. This mobile food truck made its mark with fine French cuisine, including frog legs in curry, truffle boeuf bourguignon and fois grois torchon on toast. A converted postal van, this funky food purveyor serves architecturally-inspired ice cream sandwiches, named after famous architects. A mobile food truck with a built in condiment bar, Liba serves Falafel Sandwiches and bowls, with a choice of 12 different fresh salads such as their rosemary peanuts and beets with lemon and thyme. Serving gourmet burgers and a side of heavy metal, this street cart's bestseller is the 12 oz Waste 'Em All Burger, topped with marinated green chiles, pepper jack cheese and beer soaked onions. Chef William Pilz's modern organic Filipino taco truck serves up new age innovations of classic dishes such as lumpia, pancit, adobo, and sisig. Folks flock to this Los Angeles meatball truck for dishes like the "Incredi-ball", served mini burger style with two Kobe beef meatballs, gruyere, applewood smoked bacon, wild arugula, on toasted brioche. Things get rolling at this mobile truck where a built in chicken and lamb shank rotisserie helps prepare freshly roasted chicken and roast potatoes, cooked from underneath the chicken. A tribute to Italian food and the American Dream, their Italian lolipop - a meatball on a stick - may very well represent it best. Never skip breakfast, ever - that's Buttermilk's modo. When the truck is around, you'll never want to, no matter what time of the day it is. Unapologetic man food at its best - even the ladies can't resist. Swing by for sliders that mix together just about any food combination you can imagine. Dishes like saigon shrimp ceviche and the bosa bbq taco help bring together Latin and Asian flavors in new and thoughtful ways. From spicy tuna nachos to their signature sushi burrito, this fusion truck concocts fiery, innovative creations that you won't want to miss. Following her success with her food booth at Feast of San Gennaro Hollywood, Rosa decided to open her own food truck and bring traditional Italian cuisine to the West Coast. Tim, Ronnie and Crystal were bored one summer and decided to sell silog (filipino rice plates) out of Ronnie?s mom's small grocery in San Jose, CA. The rest, including the truck, is history. Using fresh sustainable ingredients, the Shrimp Pimp menu boasts a fusion of world flavors that packs an exotic twist. Brass Knuckle's dishes are hard-hitting and hand-held (sandwiches, tacos, dogs, filo-filled things) and named after heavy metal and hip-hop bands from the 80s and 90s. Cuban cuisine is a fusion of Spanish, African and Caribbean cuisines. It is not spicy, but uses a lot of citrus, garlic and cumin. Facebook: Cosmic American "Voodoo Van"
Mix food and science, make look crazy but taste delicious, and then bring it to the streets, and you get The Inventing Room. Mini donuts like you've never had before. With flavors like pumpkin pie, lemon ginger and vanilla sip, it's gooey goodness for the young, and young at heart. Served both sweet and savory, these scone-like biscuits are cooked right in the truck and sure to satisfy hungry customers. Mobile food truck with world-fare cuisine like Bombay-style butter chicken and Buffalo chicken, all served on their delicious flatbread. The city's first mobile pizza truck, it's so good that on your first visit the servings may just have you seeing doubles. Serving Vietnamese-Cuban inspired banh mi sandwiches, such as their Rebel Heroes Cuban Roast Pork or their Rebel Heroes Cubano Sandwich, viewers check out this mobile truck in Arlington, Virginia for a taste of "Che-che-che Chicken." Hit up this restaurant on wheels for a helping of Colombian style sandwiches, burgers and hot dogs. Things heat up at this mobile truck that focuses on hot and spicy meals. Don't miss their variety of Jerk dishes that include Jerk Chicken Sandwiches, Jerk Wings and Sloppy Jerk. It's Cuban-style seafood dishes and sandwiches have helped cement it's roots in the city's fabled seafood industry. Famous fish sandwiches include "La Camaronera", fresh fried breaded shrimp on a fresh cuban bun with tartar sauce, and "Pan Con Minuta", fresh catch of the day, cleaned, battered, and deep fried, served with the tail on. This Florida food truck balances local ingredients and wide appeal with dishes like deviled local eggs and local grouper cheek sliders. This Florida food truck offers cupcakes with creative fillings and toppings. This truck brings you back to June Cleaver's kitchen, but it's run by an enthusiastic couple. This truck is a mash-up between the best that French technique has to offer with a strong understanding of Asian flavors and ingredients. 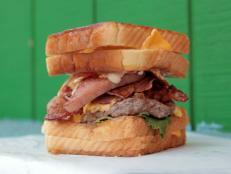 A gourmet food truck, The Crooked Spoon offers fresh, delicious burgers & sandwiches to the greater Orlando area. The "Arepa" is the Venezuelan version of the tortilla, a flat unleavened patty made from cornmeal. Mr. Good Stuff's takes these taco-alternatives and stuffs them with delicious concoctions. SOUTH AMERICAN SNACKS AND MORE ON SPEED! Delicious Southern soul food in Hawaii. Drop by for the buttermilk fried chicken plate or the Carolina pulled pork salad. Opal Thai is more authentic than you'll get on the streets of Bangkok. Camille's on Wheels makes fusion tacos with as many fresh, local ingredients as those on the East Coast of the Island of Oahu. Stay authentic to Filipino cuisine (which mixes the indigenous cultures of the island, plus Hispanic, Chinese, American and other Asian influences) while creating food that's great to eat while standing on the street. At Mac Genie truck everyone's mac and cheese wishes come true, with magical varieties such as steak, bacon and even a hearty, beer-infused cheese sauce option. Race over to Indianapolis, Indiana to the Scratch truck where everything is made from scratch like their grilled cheese featuring red wine braised short rib, caramelized onions and arugula. Speed over to Indianapolis, Indiana for some of this and some of that at the SOT SOT truck. Specializing in Creole comfort food, you can check out their crawfish po'boy, jambalaya and a jerk chicken with red beans and rice. Travel to Indianapolis, Indiana where east meets west at the Spice Box truck. With Indian delights such as chicken tikka masala and a spicy wrap with mint chutney, these guys put the Indian in Indiana. Cruise to Indianapolis, Indiana for muy bueno Mexican Korean tacos at the West Coast Taco's truck. Fan favourites include the spicy red chili chicken and a tempura battered tilapia with fiery Asian slaw! Check out The Grind Truck in Louisville, Kentucky for gourmet melted Brie and Bacon Burgers or Spanish Burgers with Tapas Toppings. Visit the Lil Cheezers truck for all your grilled cheese pleasures such as 'The Plain Jane', 'Caprese' and the 'Fancy Pants' which includes Brie, caramelized onions, granny smith apples and walnuts on thick-cut wheatberry bread. Ride into Louisville, Kentucky to Mozza Pi to experience the best wood-fired, artisan pizzas off the back of a truck from the coolest guy in a cowboy hat - good enough for at least two yee-haas! The ultimate tailgating machine, its purpose is to please the gods of football with beertaps, cheerleaders, a Jagermeister machine, burners cooking up charbroiled oysters and other gameday goodies. All about taking the classics and making them better. Plus absolutely everything is made from scratch--in the truck. Taking tacos to a new level, this truck adds southern standards like andouille sausage, crawfish, catfish, and of course, gator. Swing by for hand-held, sweet, sour, international and Southern-style crepes, including shrimp and grits, thyme-roasted apple and peachy pork. This mobile truck serves no-meat pita sandwiches, salads, rosemary French fries and blended fruit juices. They're food is so good, even meat-lovers forget that it's vegetarian. There's more mouth-watering BBQ in Boston thanks to finger-licking delicious Silk Road BBQ, a kiosk-style hut assembled each morning. Head to the Chef Shack in Minneapolis, Minnesota for some crunchy comfort food like a Tempura Battered Herring Sandwich with homemade tartar sauce on a toasted baguette or Pulled Pork Nachos with Poblano Corn salsa and fresh Guacamole. Make a stop in St Paul, Minnesota at the Fork In The Road Truck for warm and fuzzy comfort food on the go such as a Smokin’ Hot Buffalo Chicken Sandwich with Homemade Blue Cheese Dressing and a Spicy Pork Taco with Lime and Jalapeño Coleslaw. In Minneapolis, Minnesota, a veteran chef is hand crafting astonishing dishes at The Gastro Truck. Specials include a Peruvian Alpaca Meatloaf Sandwich with a Goat Cheese and Tomato Fondue, and a B-BLT with Beer Braised Pork Belly and Pork Jowl Bacon! In Minneapolis, Minnesota the Sassy Spoon is serving up healthy lunches with a side helping of attitude. Best sellers include a hearty Beef Stew with Creamy Cauliflower Mash and a Mixed Vegetable Hash with Shredded Sweet Potato and Chicken Andouille Sausage! The Scratch Truck is delivering savoury Asian styled sandwiches to streets of Minneapolis, Minnesota all made from scratch. Cruise along to Minneapolis, Minnesota for handheld seafood delights with the Smack Shack Truck where you can dine on a New England style Lobster Roll served with a creamy, lemon aioli on toasted milk bread or fresh-cut Mahi Mahi Tacos with Jalapeño and Spicy Mayo! They bring Japanese flare and flavor to an all-American food: the hamburger. "Fuku" means "luck" in Japanese. Sloppy Jo's was not named after the iconic dish but after the owner, Jolene Mannina. The truck's concept revolved around one single ingredient: the New Mexican Hatch Chili. Tasty Bunz takes dim sum specials like pot-stickers and twists them up into new and tasty street-food creations. Foodslinger serves simple and meaty hot sandwiches made with care and quality. Operated by a full-time police officer, this new age food purveyor has people pulling over for its build-your-own pasta dishes, all cooked to order on the truck. Named after the owner's 86 year old grandmother, this Hoboken mainstay is famous for traditional Polish dishes such as pierogis and house-made kielbasa. This mobile food truck is operated by a former Wall Street investment banker, and serves authentic Austrian schnitzel platters, sandwiches and side salads. This NYC ice cream truck's specialty speaks for itself. Dubbed the Salty Pimp, its vanilla soft serve ice cream drizzled with dulce de leche, sprinkled with rock salt, and dipped in melted chocolate! This NYC kiosk serves some of the most extravagant street food, in the heart of the financial district, with its pricey yet delicious lobster rolls. Awarded the Vendy's People's Choice Award, the Biryani cart is one of New York City's street food vendor icons. Swing by this New York-based weekend fish fry for your favorite Louisiana-style seafood. Proudly parked out in front of Hunts Point Auto Sales and Service in the Bronx, Fred Donnelley serves a mean menu featuring bbq ribs, beef brisket, pulled pork and smoked chicken. This truck serves innovative, fun desserts, like Dessert Nachos and Ice Cream Cone Cupcakes. Thomas DeGees offers New Yorkers waffles just like they're made in Belgium, with a slew of toppings that could never be found on the streets of Brussels. March into Toronto, Ontario where Fidel Gastro’s truck is revolutionizing the sandwich with deliciously unusual combinations! Custom made buns are stuffed with Spaghetti & Meatballs in a homemade marinara sauce or a Peanut Butter & Beer Braised Pork Shoulder with Bacon Jam. Gorilla Cheese truck, whose ooey gooey sandwiches will make you go ape wild with delight. Sail into Toronto, Ontario for handheld seafood delights from the Busters Sea Cove truck such as a creamy Nova Scotian Lobster Roll or Beer Battered Fish & Shrimp Tacos. Make a pitstop in Toronto, Ontario for smokin’ hot barbecue at the Hank Daddy’s Cart where you can get a Smoked, Pulled Pork Parfait with mashed potatoes ‘n gravy. Pull up to Hogtown Smoke in Toronto, Ontario for the best barbeque in the city- you can get a Smoked Beef Brisket "Po' Boy" with caramelized onion & horseradish aioli and a Carolina Pulled Pork Sandwich with Root Beer Baked Beans and a cornbread doughnut. At the Rome ‘N Chariot truck in Mississauga, Ontario, a husband and wife team are bringing authentic Italian comfort food to the masses. Their menu features meatball sliders with housemade marinara sauce and a loaded porchetta sandwich stuffed with Italian sausage. Facebook: The Frankie Fettuccine Food Truck Co. This west coast cart's menu is filled with outrageously delicious fare, like the Redonkadonk, a massive burger dressed with a fried egg, spam, ham, turkey and bacon, and then stuffed between two grilled cheese sandwiches. This former school bus serves classic French cuisine, such as escargot and French onion tart, all baked fresh inside the long, mobile bistro. Serving sweet and savory egg sandwiches, this stationary breakfast cart helps customers kick-start their day with dishes like their Monte Cristo - one egg any style, grilled black forest ham and gorgonzola, drizzled with pure maple glaze and then stacked between two pieces of crunchy vanilla cardamom brioche French toast. This hand-built cart resembles a miniature chalet home, and ladels gourmet soups and sandwiches. A mobile cart with a special haddock option for Portland's UK expat community, swing by for authentic Scottish style fish and chips. Using local and sustainably sourced ingredients, this food cart serves top notch East Coast-Sicilian fare. Make sure to try their Meatball Hero Sandwich (on East Coast-style hoagie bread), or their popular vegetarian chickpea fritter sandwich. Eurotrash serves Mediterranean food with a sloppy American twist! The Dog House serves creative bowls of comfort food. Here, classic desserts like creme brulee are served to the university student crowd that frequent it. Operated by a professional artist and sculptor, this mobile creperie serves sweet and savory French-style, thin battered crepes with an artist's touch. You simply cannot leave without having tried the Creme of Spinach crepe or strawberry-banana-nutella creation. Head to Montreal, Quebec for gourmet tacos with all the trimmings at the Grumman 78 truck, including a taco with slow-cooked turkey, housemade stuffing and apple cranberry jelly. Take to the streets of Montreal, Quebec with the Nouveau Palais truck for gourmet burgers galore! This New England hot dog truck has customers rolling over for its house-made gourmet sausages, served from a traditional rolling street cart. Make chicken wings better by stuffing them with good things like mac 'n' cheese and ... stuffing. Bone-In pays careful attention to slow-smoked meats. Inspired by his grandmother's recipes, owner Jonathan Colarusso concocts Italian-themed sandwiches with fresh, local ingredients. A celebration of the world's street food, with a Music City twist. Don't leave without trying their jerk chicken, salted cod fish cakes and chicken curry roti. This truck pits the starkly contrasting duo of childish pink against hearty, masculine comfort food in Nashville. Don't let the decoractions fool you though - the food will fill up even the hungriest of giants. This gourmet grilled cheese truck uses local products and serves homemade tomato soup. Eclectic and artsy stationary trailer that serves naan freshly baked in their tandoori oven that's built right into the trailer, as well as other authentic Goan dishes from Goa, India. 42 foot stationary trailer that prides itself on family tradition and using fresh ingredients. Walk up to this cart and get a worldly helping of ethnically inspired tacos, including Korean-Mexican, Indian-Mexican and Middle Eastern-Mexican. This Lone Star state mobile trailer serves lip-smackingly good Southern style fried chicken and waffles. Acclaimed chef Iliana de la Vega serves up authentic Oaxacan cuisine at her El Naranjo mobile trailer in Austin, Texas. This Texas mobile truck serves Korean-Mexican inspired tacos, burritos, quesadillas and burgers, and zests things up with a little cilantro in nearly every dish. This mobile truck serves empanada style pocket pies with comfort fillings. Known for their American Comfort Food you can't visit without trying their Chicken-Relleno Pocket Pies. They are know for their tortilla cones which they fill with crispy chicken, deep fried avocado, crispy shrimps - or a combo of your choice! Need we say more? A fusion of flavors and styles influenced by Co-Owner and Head Chef's West African upbringing, as well as his experiences living in France, New York, and Austin. All about delicious and innovative ways to serve tasty pig, this Austin eatery serves pulled pork tacos, bacon & eggs, bacon quesadilla, bacon sandwiches, bacon tortillas, bacon milkshakes, and bacon-wrapped-deep-fried-pickles. Homemade sauces and home-pickled vegetables, all on a rotisserie chicken sandwich. Don't be fooled by the name: The wieners are secondary to their mind-blowing assortment of toppings. Think multicultural foods, mixed together and fashioned into unlikely but unbelievably tasty toppings. Asian inspired street food featuring deep fried chicken thighs, fried brussels sprout salad, beet home fries, and pork buns. This restaurant on wheels serves dishes New Orleans style with chicken and Andouille sausage gumbo, all prepared by charismatic New Orleans-expat, Chef Matthew Lewis. The city's most recognizable pig truck, this giant chrome hog-shaped van with a built in snout and sunglasses is famous for its pulled pork sandwiches. Coined the best street food by "Good Morning America," this food truck serves exotic Korean-Hawaiian inspired dishes. Baking gourmet thin crust pizzas in less than 90 seconds is no small feat, but Veraci's mobile wood burning pull-cart oven pulls it off wonderfully. Led by Chef Joshua Henderson, this street cart is a pioneer in mobile gourmet trailers. With dishes like sockeye salmon with succotash, and their famous gourmet burger with homemade bacon jam, it's no wonder. 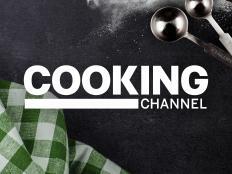 Discover the locations from the Cooking Channel special Hidden Eats, USA, hosted by Aarti Sequeira.